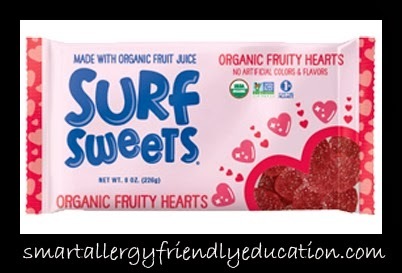 Smart Allergy Friendly Education: Surf Sweets Organic Fruity Hearts - Gluten-free, Allergy~Friendly Treats for Valentines Day! 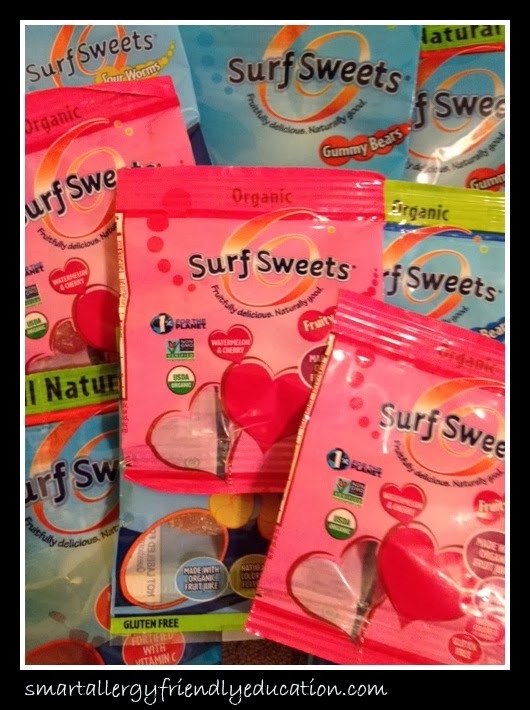 Surf Sweets Organic Fruity Hearts - Gluten-free, Allergy~Friendly Treats for Valentines Day! 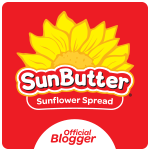 I am already a huge fan of Surf Sweets and looking forward to seeing what treats they will have available for my nut-free, egg-free, dairy-free kids when the next celebrated holiday rolls around. Here's one we have tried and enjoy. They just recently changed their packaging, but everything I appreciate about them has stayed the same! Ingredients include: ORGANIC EVAPORATED CANE JUICE, ORGANIC TAPIOCA SYRUP, ORGANIC GRAPE JUICE CONCENTRATE, PECTIN, CITRIC ACID, ASCORBIC ACID, COLOR ADDED (BLACK CARROT JUICE CONCENTRATE), NATURAL FLAVORS. 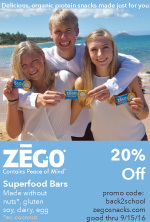 These candies are made in a NUT-FREE FACILITY and are guaranteed to be made with USDA certified Organic fruit juice and are corn-syrup free, GMO free, gluten-free, casein-free and vegan.